BUMAS custom-made muzzles goes USA! BUMAS MUZZLE SIZE 8: Shepherd, Labrador, Golden Retriever (Guideline) - The perfect muzzle size for every dog with a glasses-on-the-nose feeling. Jolly colour combinations give your dog a friendly appearance. 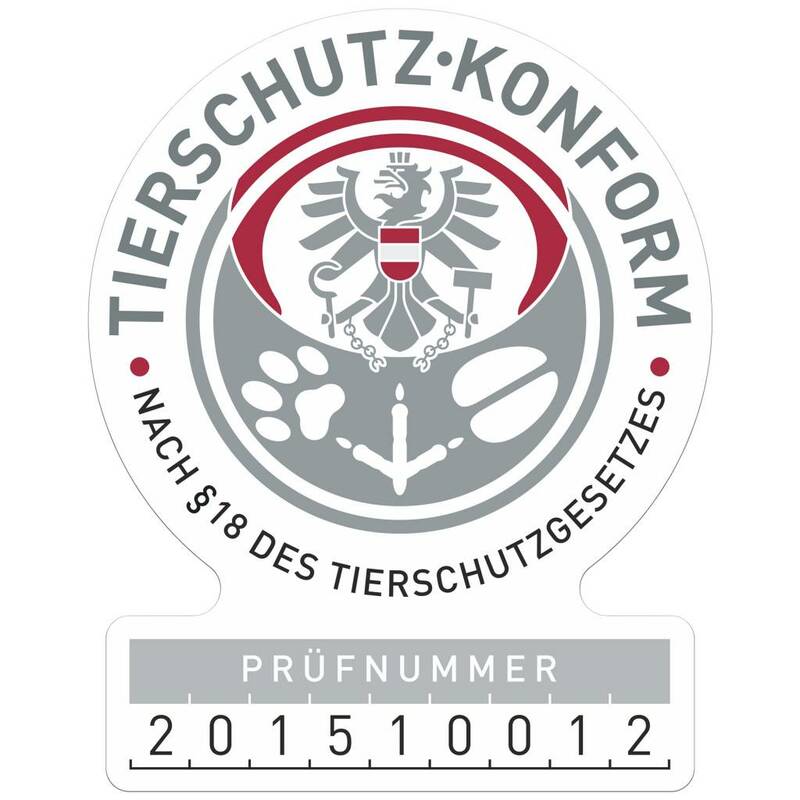 The Austrian muzzle-manufactory crafts, individual, custom-made, easy-to-clean and hygienic dog muzzles made of the high tech material BioThane® – the original BUMAS® is animal welfare certified. Our intention is to protect your dog - for a conflict-free coming together at the park or at the dog walk, in public transportation, in the city or at the veterinarian. 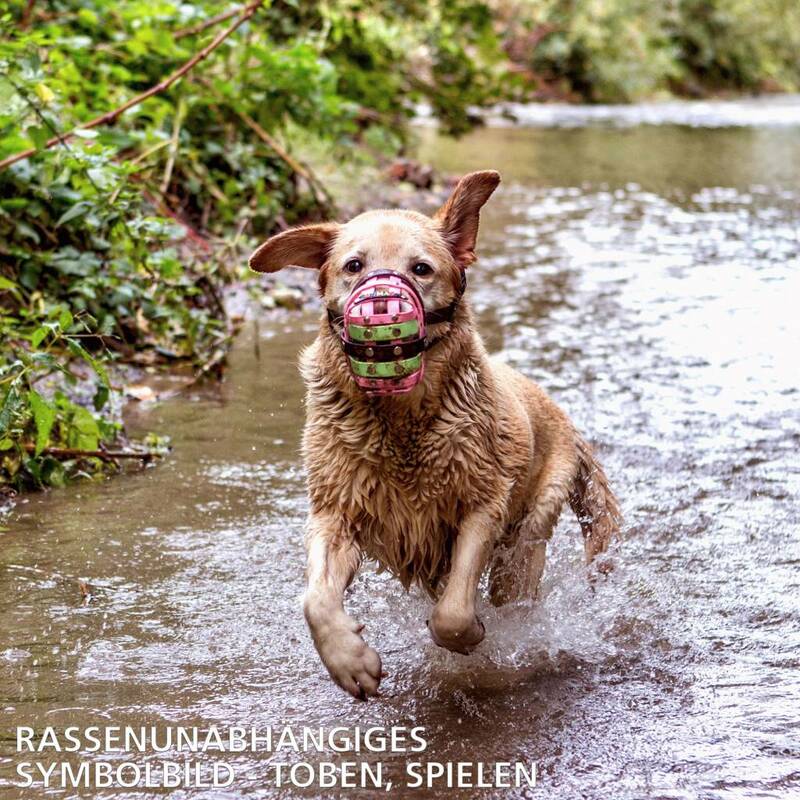 BUMAS enables your dog even in critical situations to play and frolic around. A BUMAS fits perfectly and allows your dog to pant and drink. To manufacture a BUMAS we need to know the circumference and the length of your dogs snout. Add 2-4cm to the measured circumference and 0,5 - 1 cm to the length to make sure your dog has enough space to pant. Compare your measurement with the reference measurements (U = circumference / L = length). See details in the step to step guide to measure your dog correctly for our BUMAS. is available in 13 standard sizes and 5 preset colour combinations. 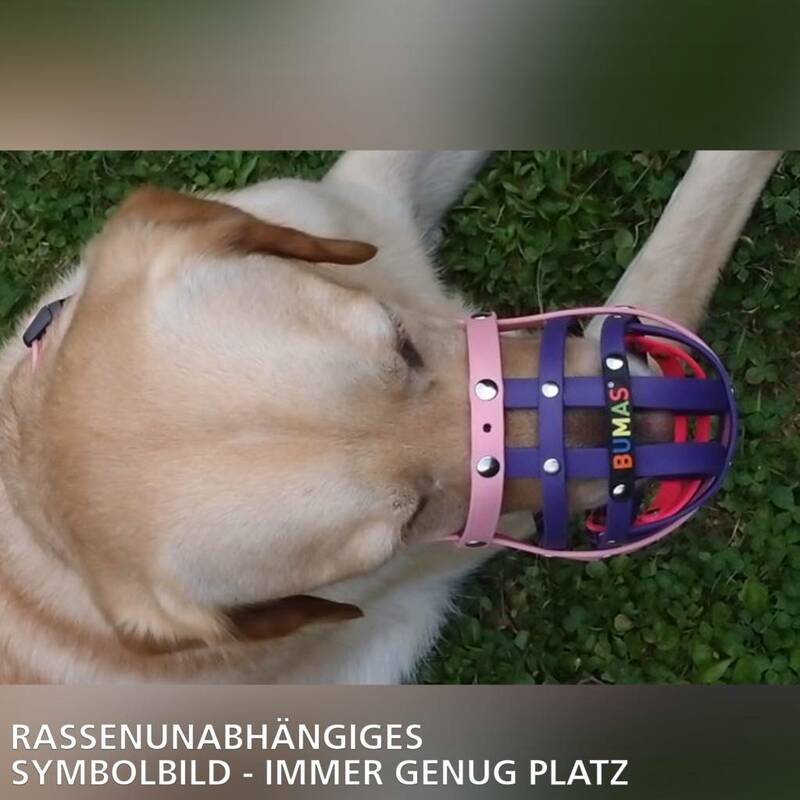 BUMAS produced more than 9.000 custom-made muzzles for various dog species. Due to experience and know-how BUMAS created additionally to the standard sizes, more specific muzzles. Those are adopted to the head shape of the dog breeds and called breed specific sizes. But even within a breed there are differences and this is why BUMAS still provides on demand the custom made dog muzzles. Every dog is different - small darling to big guardian - every dog is an original. 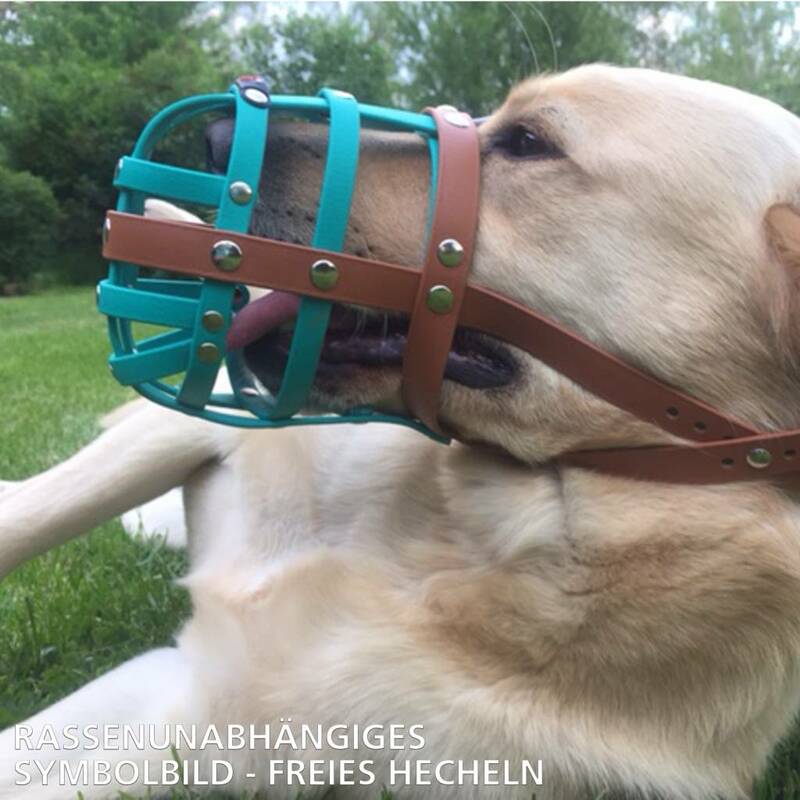 BUMAS made to measure custom-made muzzles fit the character and the individual needs of your dog. Tone on tone, combine favorite colours or create your BUMAS in order to match your outfit - easy and fast with the online configurator - create a muzzle as unique as your dog is. If you would like to be kept up-to-date on the latest developments for BUMAS products.